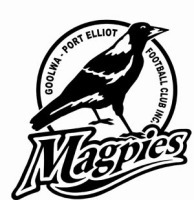 Welcome to the official website of the Goolwa/Port Elliot Football Club. 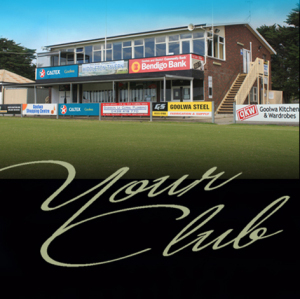 As a club, we pride ourselves on our long history as individual identities; Goolwa Football Club and Port Elliot Football Club as well as our short history as the Goolwa/Port Elliot Football Club. 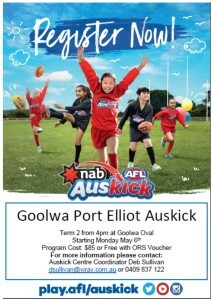 Nestled between the mighty Murray River and the beautiful beaches of the Fleurieu Peninsula, the club has a great deal to offerl players, supporters, sponsors and families from the Goolwa, Middleton and Port Elliot townships. The club is thrilled to have the SANFL Community Football General Manager, Glen Rosser on board as its Patron. Glen was a Port Elliot junior before leaving to play SANFL football for Norwood. Mr Rosser is the driving force behind the annual heritage match against Encounter Bay. As a Level 3 Accredited Good Sports Club, we are committed to reducing the effects and consumption of alcohol and other drug problems, increasing the viability of sporting clubs and improving the range of sports options available in the community. It is a priority of the club to develop junior and senior footballers and members, both male and female into leaders and role models amongst the community. 2019 sees our women's teams growing and building. The club will be fielding u/13s, u/16s and open age groups. Contact Lauren Dart on the email address below if you would like more information. 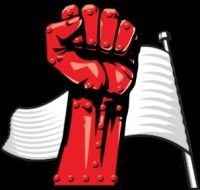 Please take some time to look through the website, get to know some of the club's members, find a sponsor you can turn to, or look through the club's proud history. If you have any information, pictures or stories that you would like featured on the website, please email them to lauren.dart266@schools.sa.edu.au who will have them approved by the committee and then posted on the site.